We were very happy to arrive. The location was perfect. The service and extras are above and beyond. We enjoyed our stay with you. one of the best experiences I have had. steps from the beach and Fort DeRussy Army museum. Just around the corner from shops and many eating places. Waiolu restaurant upstairs had spectacular view of sunset and fireworks on Friday. Staff was helpful friendly and very attentive. I will stay there again. 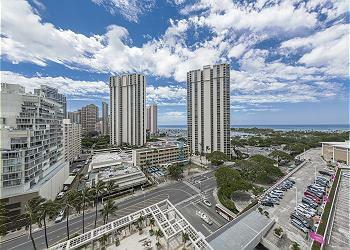 Trump Tower Waikiki as a whole is amazing! The service is great. They are very accomodating to families with young children. 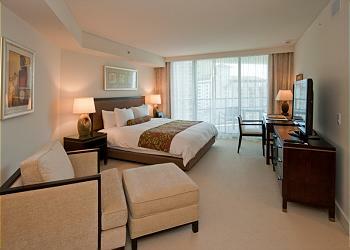 The rooms are serviced twice daily which made our stay even more comfortable. We used the king bed, sofa bed and baby cot to accomdate our family. We all slept comfortably however once the sofa bed is opened there is not much room to move around. The bathroom is generous in size and facilities. The kitchenette is large and has everything you need for a holiday stay. There is no oven though in case this is something you require. There is a door which opens to air the room but no balcony. You cannot see the ocean from this room. The people of the staff were very kind! 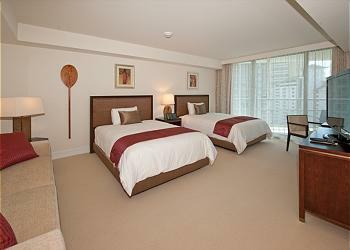 I stayed at a wonderful hotel this time and was able to stay very comfortably this time. The staff also thank you in advance for kindly kindly asking for consultation. I am glad we had an opportunity to stay at the Trump Tower, we had an excellent time. 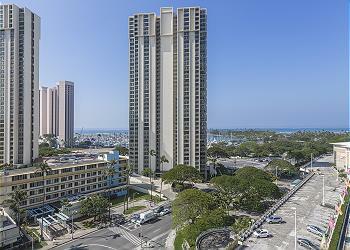 Excellent walking distances to stores, restaurants and beach. We stayed in room 808, my only dislike was the lake of a balcony and we were unable to open the window, due to the loud AC noises. Thank you for everything.We were pleased to staying this room. While we staying this room,there was small trouble. But finally this hotel is verry nice and excellent hospitality. Thank you hotel staff and Gaia clerk. Thank you for taking the time to share your review and staying with us! Looking forward to have you as our guest again near future! When I told you it was a university celebration when I arrived, I was happy that there was champagne in the room. The employee was a wonderful customer service. Butit was disappointing that there was no veranda. All staffs are kind. They made the sofa bed every night. The room is clean & big. It was a Partial Ocean View room. but, there was not much view because the floor was too low. Kitchen facilities are really good. Welcome cookies were delicious.